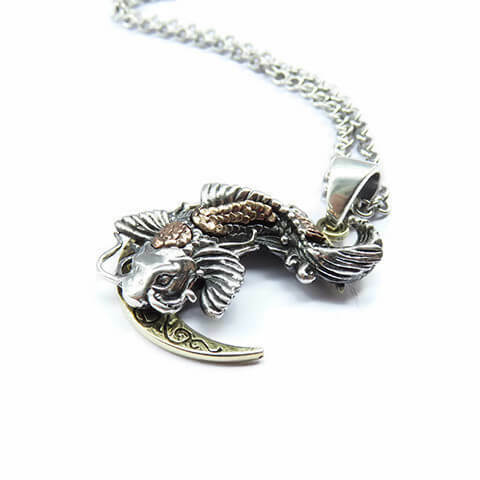 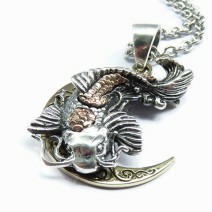 A silver Carp and moon pendant. 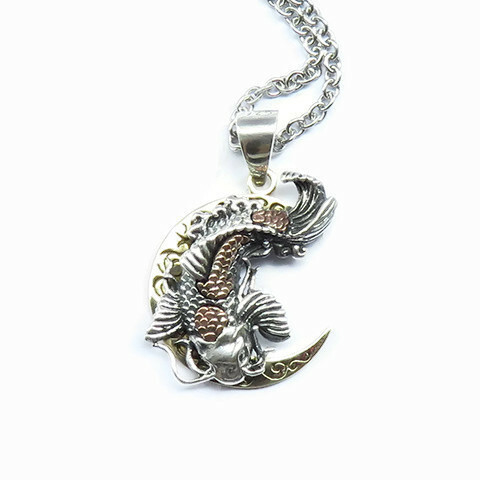 This Japanese lucky fish is swimming upstream and handcrafted in sterling silver with a brass crescent moon. 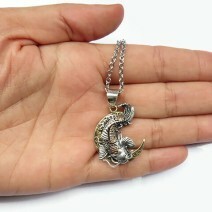 Hangs from a silver jump link and stainless steel chain.